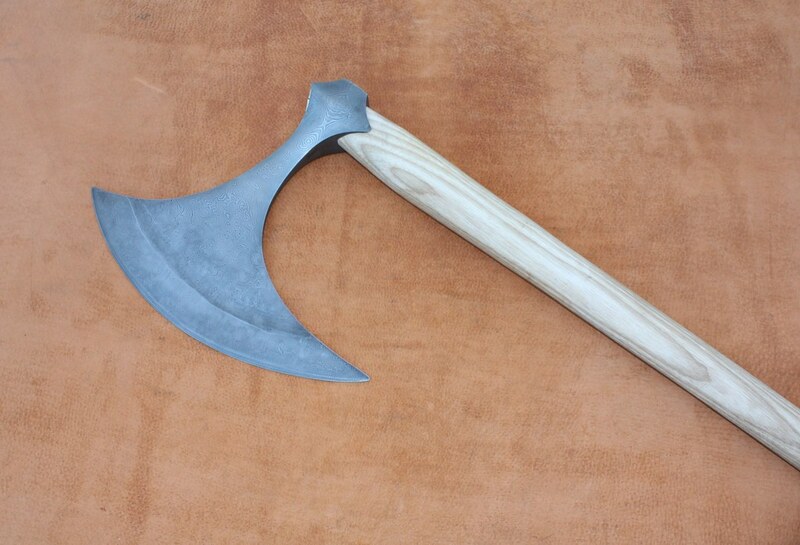 I finished this axe before xmas... but the fine finish was bugging me so I cut it off the handle and re cleaned it up and re etched it and I am happy now! 300 odd layers 15n20 en42. 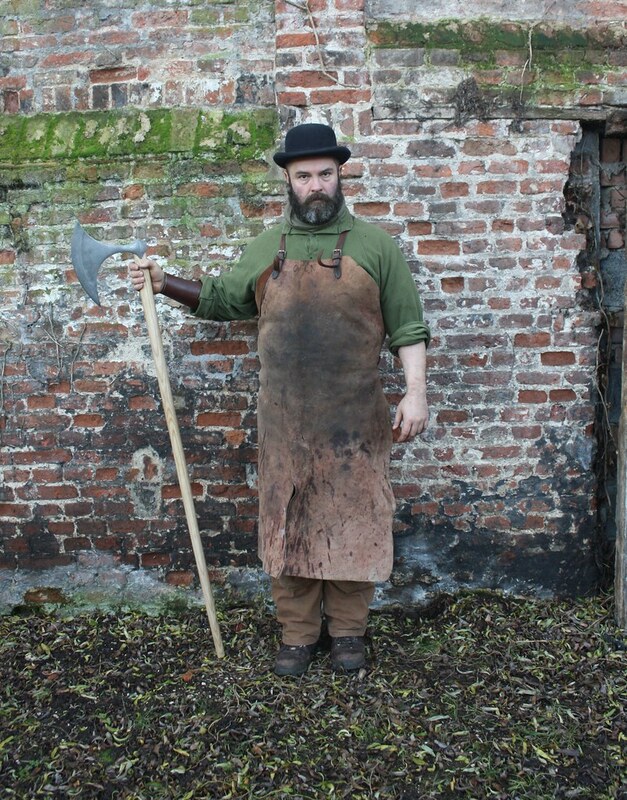 grinding the whole thing up to a fine finish ...not so simples.......but it ended up OK! well I cleaned it up. and deep etched it . I think it looks good now! Owen,beautiful work as always,that has very graceful lines, love it. bloomin' brilliant! What wonderful work. Might one ask as to what kind of cost that would be? A lovely piece. Excellent work. 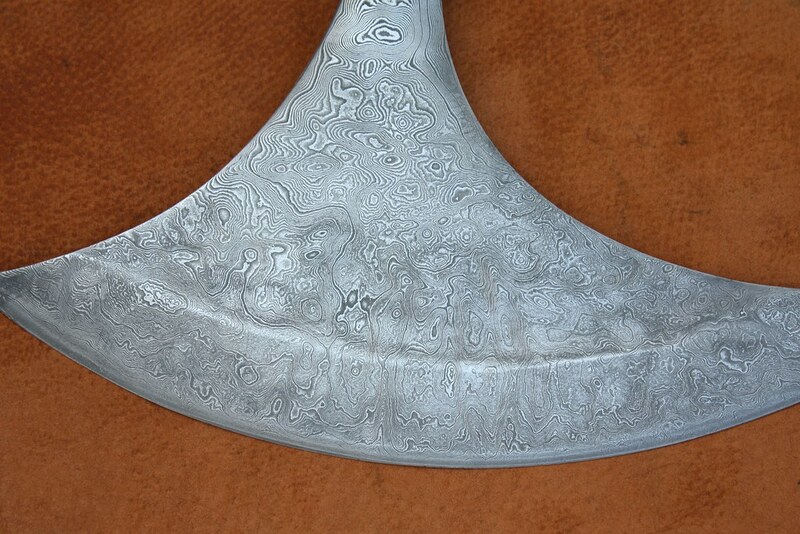 The damascus in itself is very attractive but I think it also makes the already elegant shape of the axe even more apparent than it was before bringing out the pattern: Great looking " Scary " axe, but it stands by itself as a beautiful piece of sculpture and a great piece of art . That is a lovely, lovely thing and truly a work of love and skill. By the way when are you going to start selling posters of that picture in the bowler - I think all smiths should look like that. 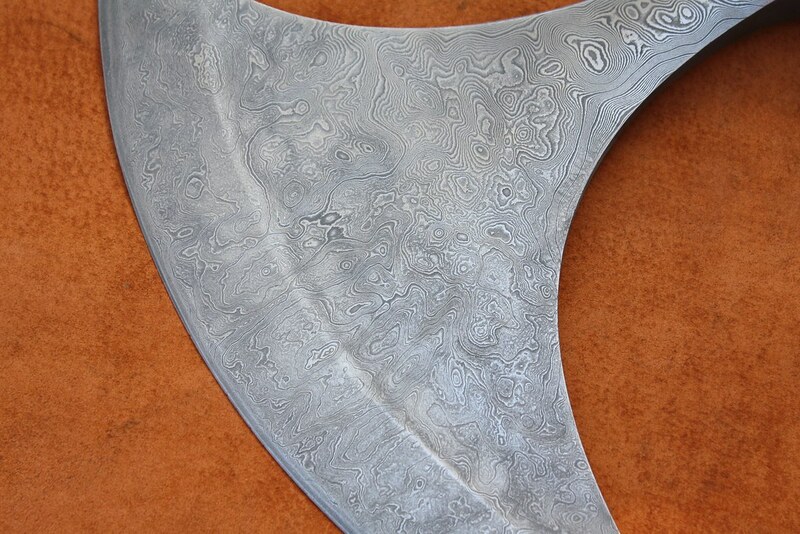 Not a huge fan of damascus in general. 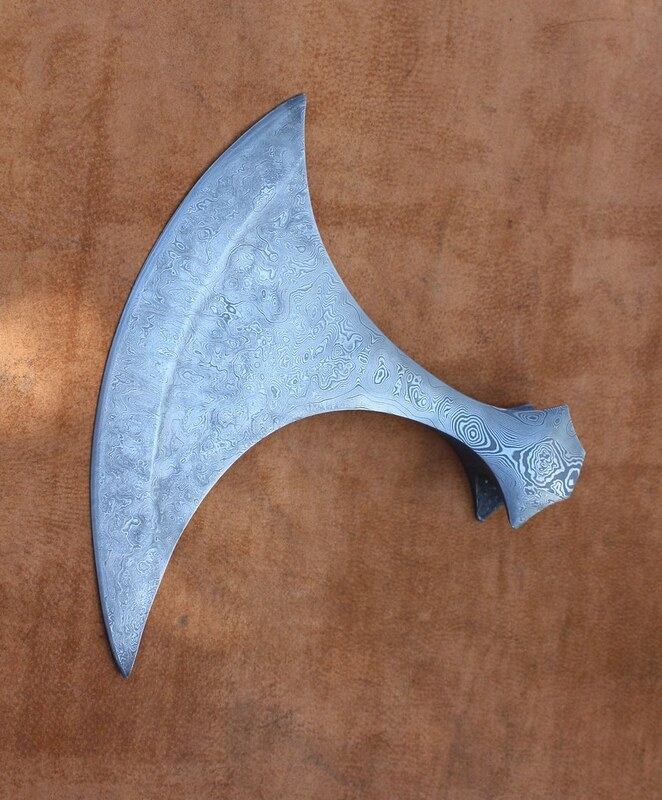 but wow, on an axe that is gorgeous! that shape is great as well! Holy Cow that's magnificent Owen! 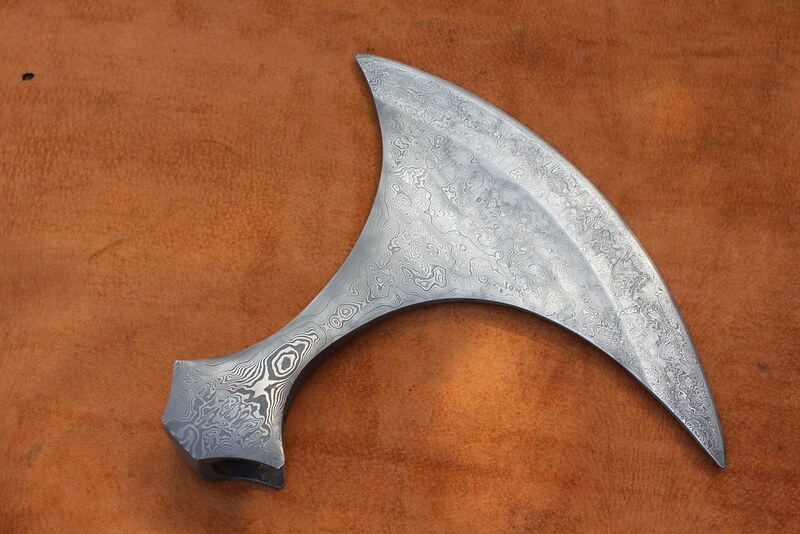 Very graceful lines for such a large weapon...the pattern is glorious, almost hypnotic to look at.